Design Space Modular Buildings has opened a branch in Williston, North Dakota. 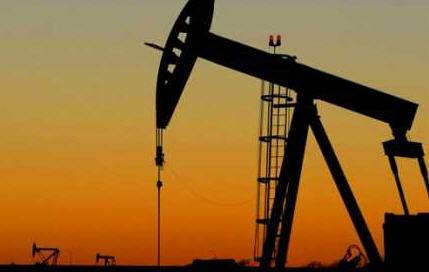 This branch will provide service to the booming oil industry in Bakken, and the entire state of North Dakota. Delivering any type of office trailers to remote locations is our business, so we wanted to be the first in location to support the need, which we were. Design Space Modular Buildings and Storage Containers has arrived in the Bakken and has announced the opening of their newest branch in Williston, North Dakota. Design Space is the largest independent dealer/contractor for Modular Buildings, Office Trailers, and Storage Containers in the western US. “Design Space recognized at an early stage that the oil boom in the Bakken was not going to subside anytime soon. With all the men and operations heading in to North Dakota we knew there would be a great need for portable, temporary, and permanent office trailers, living quarters and modular buildings. Delivering any type of office trailers to remote locations is our business, so we wanted to be the first there to support the need, which we were," says Shawn McQuade the marketing manager for Design Space Modular Buildings. It is a tough environment in North Dakota, but Design Space is up for the challenge. With their new branch in Williston they can provide local service and immediate delivery throughout North Dakota and eastern Montana. 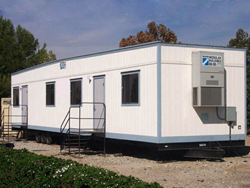 Design Space Modular Buildings - Williston can be contacted for an immediate quote here, or by calling 701-774-7600. Make Design Space your first call if you need oil field offices, more office space for your business, a new office for your business opening in the Bakken oil region, locker rooms, living quarters, or containers. Williston North DakotaDesign Space Modular Buildings new branch is supplying the mobile office needs of the oil industry in Bakken.